The RWS Spring Exhibition is ‘Watercolour Etc’. For the first time we are allowed to show one work not in a water based medium – this could be drawing,collage,oils,acrylic,prints or 3D. I have 3 paintings in acrylic on paper – now deciding what my etc should be. 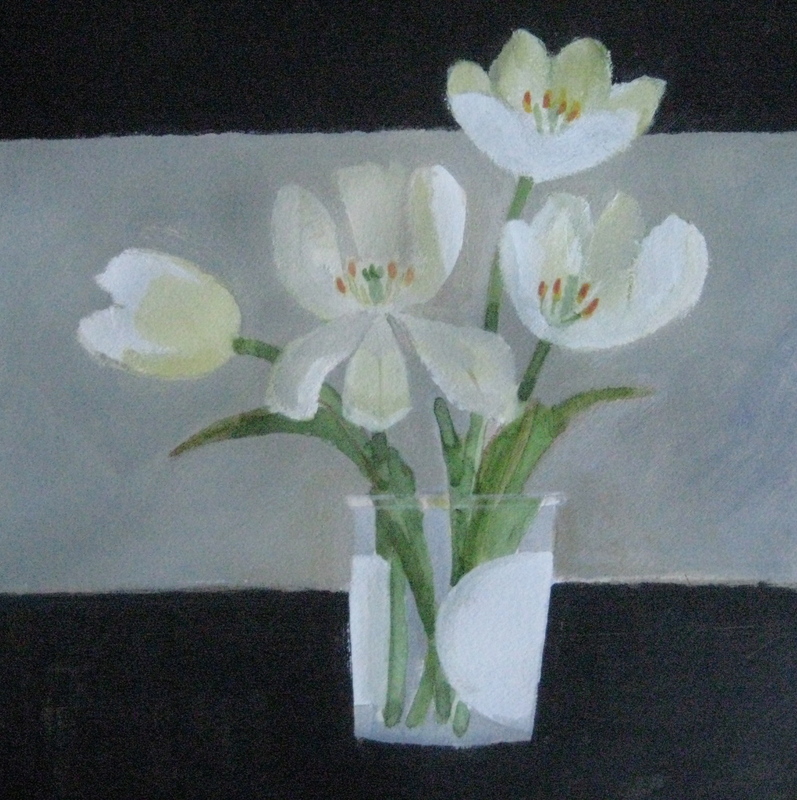 This entry was posted in acrylic, Art, artists, Drawing, Exhibitions, Uncategorized and tagged acrylic, art, art school, artists, Bankside gallery, colour, drawing, English, Essex, exhibition, February, flowers, garden, London, new work, painting, paper, Royal Watercolour Society, RWS, still life, tulips, watercolour, work in progress. Bookmark the permalink. Thank you Charles – how are you doing?